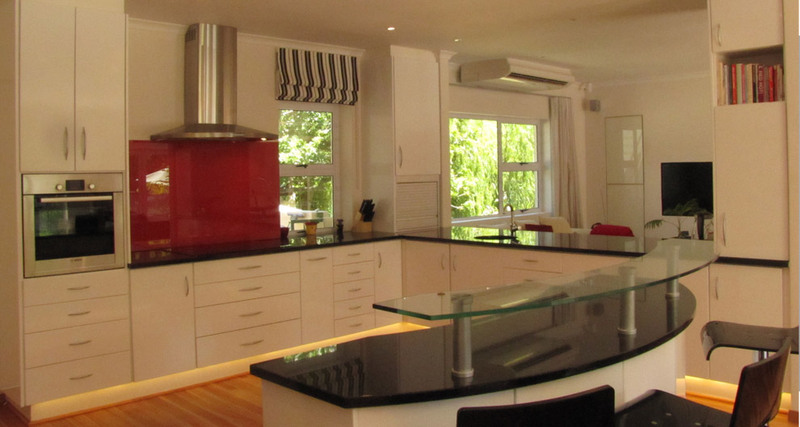 The kitchen of this Paradyskloof houses opens on to the dining, living and family rooms. 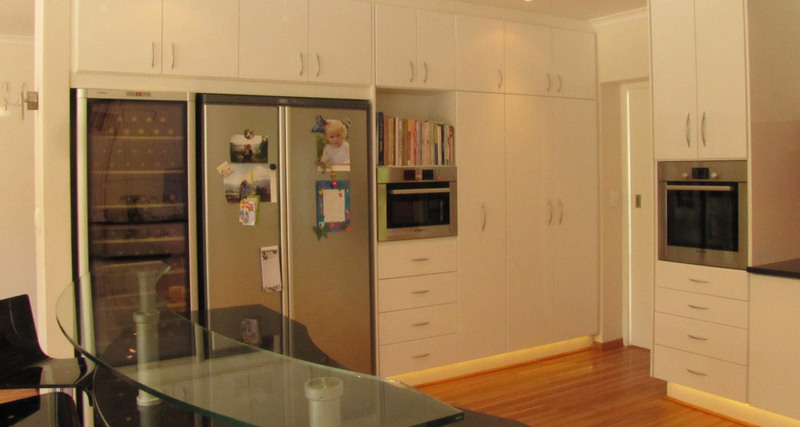 Due to the large space, the lines and finishes were kept simple. 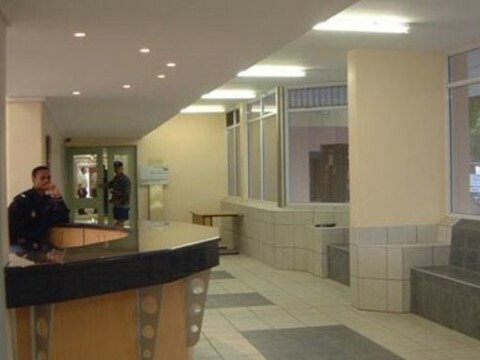 The recessed areas of ceiling demarcate the separate functions in this large space. 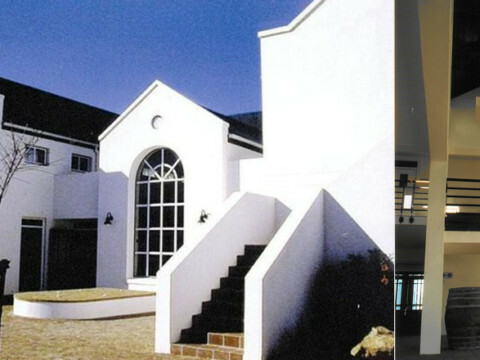 Concealed LED rope lights run round the perimeter highlights the effects. 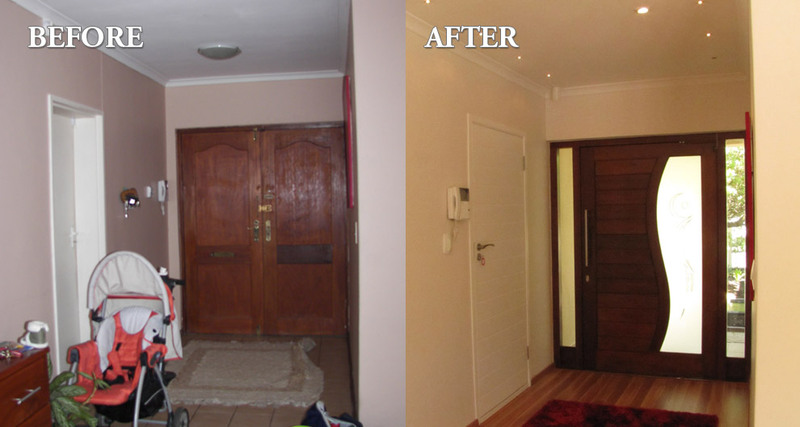 Before and after photos demonstrate that simply changing the front door to one with glass makes the entrance more welcoming. 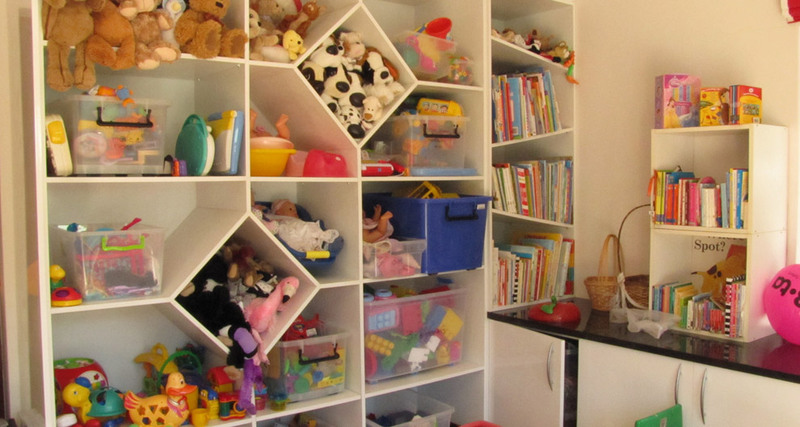 Storage in a children’s playroom can be made more interesting with diamond pigeon holes and sloping book shelves. 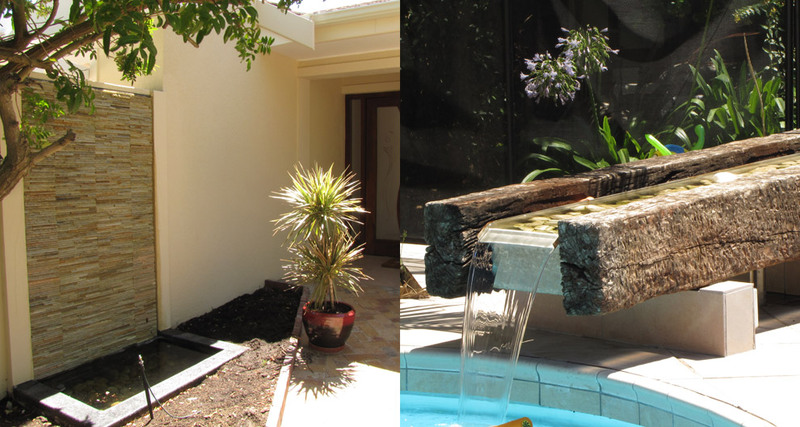 Water features with their sound and movement provide tranquillity at the entrance and by the pool. 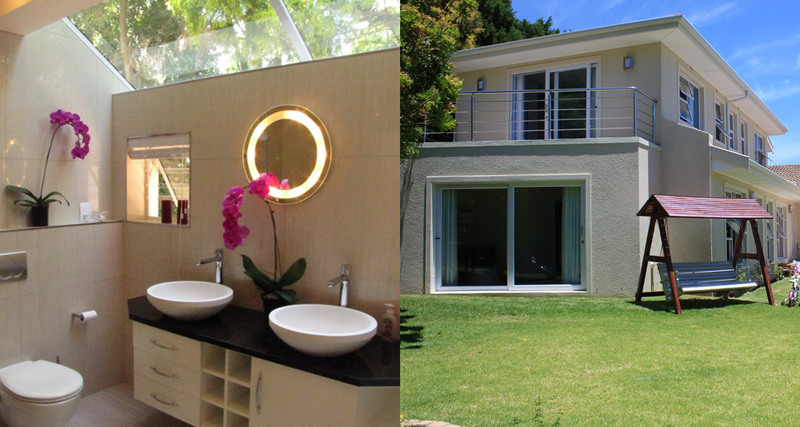 Natural light, while maintaining privacy in this bathroom extension, is achieved by roofing a section with high performance laminated glass. 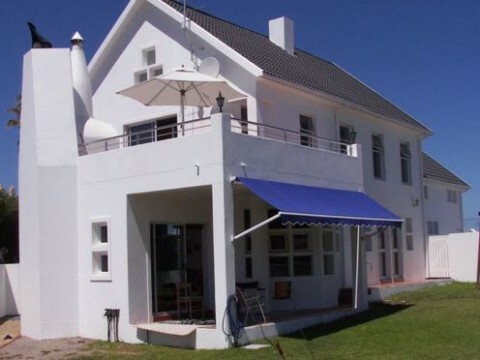 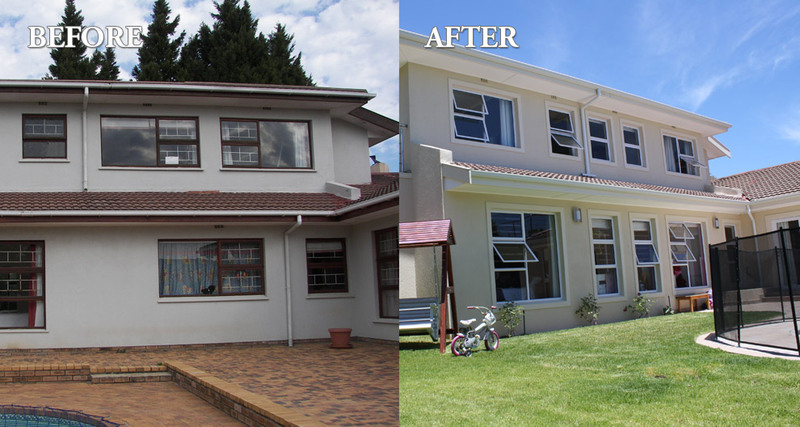 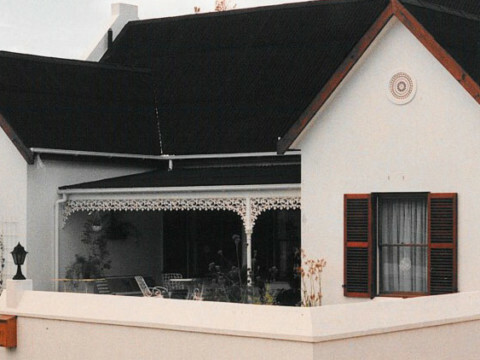 Most of the work of this house in Paradyskloof was done to the interior, however the façades were given a face lift and the extended single storey portions either have decks on top or in the case of the bathrooms, glass roofs.